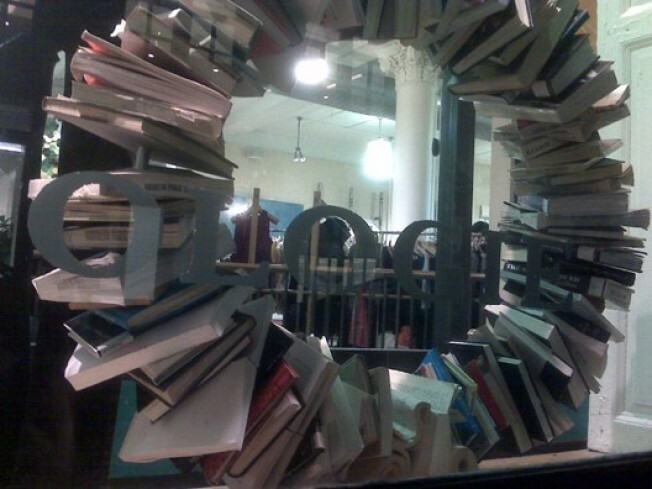 Anthropologie's cozy aesthetic is already pretty bookish—does any store sell more cardigans?—but the window displays of their store on Fifth Avenue and 16th Street take library chic to a whole new level. Some windows have walls of books, some just disorganized piles, but the best are the big swooping architectural forms built out of book stacks. The books, by the way, are all modern, unlike the faux-vintage clothes inside—no well-worn Dickens hardbacks here. That might have something to do with their provenance: Most of them were donated, some by store employees.